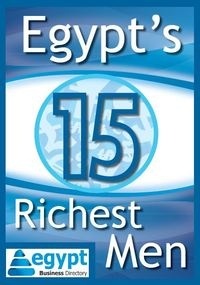 Egypt is a distinctive emerging offshoring location offering unique advantages with a strong government support. Who are Africa's ICT key players? South Africa, Nigeria and Kenya will be the key players in the African ICT sector in the next five years. A survey conducted by Africa Business Panel among 800 business professionals involved with Africa shows that these 3 countries were earmarked as the continent’s favourites when it comes to the future of the ICT sector. Ghana, Egypt, Rwanda, Botswana, Angola, Uganda and Zimbabwe are the runners up and complete the top ten countries out of 53 economies on the African continent. Virtually all African economies show promising year-on-year growth. This is attracting the attention of the international investor community who increasingly see Africa as ‘the last frontier’ for attractive growth opportunities. Research and numerous survey results among the international investor community consistently indicate that investors expect over half of the ten fastest growing economies in the world in 2011 to be African. The Africa Business Panel has published a month-on-month Africa Business Confidence Index since January 2011. The index results for Africa based on surveys of 800 business professionals from more than 30 countries on the continent consistently show growth. Calculations are based on the purchase managers index methodology used globally. The outcome of the business confidence index for the African continent is consistent with the trust of the international investor community. The manufacturing business confidence index for June is 53.9 and for non-manufacturing 60.4 for the same month. Any number over 50 indicated growth. “South Africa is far ahead in ICT technology, infrastructure and culture. It can only continue to grow barring any economic shocks. Nigeria is rapidly growing rapidly its ICT culture and infrastructure. Power continues to be a challenge but, as always, Nigeria has the population to support most of the business opportunities available and at play. Kenya is increasing its ICT footprint too and, has a some local innovative talent to drive some heavy growth in the sector,” says Whenkeremma Okezie, CEO at Geomarine Systems Limited in Nigeria. “I’ve been looking at the figures of BPO’s coming up in Kenya and it’s phenomenal. It wouldn’t be possible without the ICT investment that’s being put into the country’s different sectors. Rwanda is a country that has shown hunger for anything that can boost its growth and the government has lent the ICT sector a hand by partnering with not-for-profit organizations that have shown interest. South Africa has the largest resource base in the continent and would not hesitate to use it in an industry with such promise,” says James Njoroge, Financial Consultant at Pan Africa Life Assurance Limited in Kenya. “South Africa has always been number one in innovations in Africa. The country is stable politically and financially, thereby making it the first destination for foreign partners seeking low-risk environment. It’s citizens also seem to be ICT savvy. Nigeria on the other hand would have been number one, if it had a semblance of political stability. The mind-burgling 150million population still makes the country difficult to resist for investors because of the amount of traffic you could generate from such huge population. Nigerians are quite business savvy. Ghana is more like a rising South Africa, with a very stable political and economic system. The country also boasts a far better security position than the two countries earlier mentioned,” says Caesar Onejeme, Business Development at Fleet Technologies Limited in Ghana.